This policy includes an explanation about cookies and how 3ROC use them on this site. We follow the principles laid down in the Data Protection Acts of 1988 and 2003 and in the IOA policy on General Data Protection Regulations 2018. A cookie is a block of data that a web server places on a user’s PC. Typically, it is used to ease navigation through the site. However, it is also a useful means of the website identifying the user, tracking the user’s path through the site, and identifying repeat visits to the site by the same user (or same user’s machine). This can then lead to a website owner being able to profile an individual user’s browsing habits – and all potentially done without the knowledge, or consent, of the user. Most browsers are set to accept cookies but you can change that if you wish. We work on the assumption that you are happy to have these cookies set. We use Google analytics to collect information about how visitors use our site thereby allowing use to improve the site. The cookies collect information in an anonymous form, including the number of visitors to the site, where visitors have come to the site from and the pages they visited. Visit Google Analytics for more information. Some other cookies may be set by third parties, like YouTube, if for example a video has been embedded in a news item. 3ROC and its officers may hold some or all of the following data about some or all members and others who compete in orienteering events: name, postal and email addresses, phone numbers, year of birth, competition age class, competition results, offices held. Contact data is held for landowners and other organisations from whom we require permissions. The data may be held in electronic or paper form. The data is used in organising orienteering events and for social purposes. It may be distributed in paper or electronic form between members, competitors, event officials and orienteering organisations. Publication on publicly accessible web sites may include name, age class and club in competition results; names with offices and photographs may be published, but addresses, contact numbers and personal background details will be published only with the explicit consent of the person. We at Three Rock Orienteering Club want to make sure that any personal details we hold about you are safe and secure, so we have put together this note to tell all our members, and all participants in orienteering who are not club members, how we make sure we just do that and what to do in case you have any questions for us or want to see what information we have. We are what is known as a data controller. This means we have control over how your details are used and who we pass them to. Sometime organisations need to appoint an individual called a “Data Protection Officer” to make sure that they are being very careful with your information. We don’t need to have Data Protection Officer, but we want to make sure your details are safe. We can be contacted at 3roc@orienteering.ie in case you have any questions. The national governing body, the Irish Orienteering Association, has a Data Liaison Person who can be contacted at dataliaison@orienteering.ie. What type of details do we collect from you? We will normally collect personal information about you when you join the club, or enter an orienteering competition run by 3ROC, or when you contact us by email or phone. Normally when you join the club your membership subscription will be processed by Fabian4. Fabian 4 are also a data controller and are subject to the same regulations as we ourselves are. We use your information to help you participate in orienteering events and see how you got on at events and also to keep you informed of upcoming events that might be of interest to you. If you have told us we can use your information in a certain way, you can tell us to stop using it at any time, by contacting 3roc@orienteering.ie. How can you stop us from marketing to you? We will not send you any information for commercial direct marketing and we will not share your details with any third parties unless it is, for example, to allow a courier or delivery company to deliver something to you on our behalf. Sometimes we may wish to contact you by email or text message to tell you about things we think you might like: for example, particular orienteering competitions, training or social events run by 3ROC, or to alert you to competition closing dates or selection opportunities. You can tell us to stop at any time by contacting 3roc@orienteering.ie. If you do this, however, we will not be able to provide you with the full benefits of membership of the club. Also look out for the link at the bottom of any messages we send you which will put a stop to any messages. Law enforcement and security services: to help them with any investigation, prevention of crime or matter of national security. If you are chosen for international competition or are taking part in a training camp or other activity organised by 3ROC or by the Irish Orienteering Association, it may be necessary to give some of your details to the organisers of these events, which may be in Ireland or elsewhere. We will only do this with your consent. However, if we do not have your consent for this, it will limit the services we can provide for you in relation to orienteering. All ‘data controllers’ based in the European Union are subject to laws that make sure that your personal details are safe. Sometimes some of your personal details may be transferred to and stored in countries outside of the EU, which are not subject to the same laws. Where this happens, we will do everything we can to make sure that your details are only used in the way we say they will be and are kept secure. We collect personal details from you for different reasons and so we might keep it for different lengths of time. For example, we might have to keep it for a long time for legal reasons, but most of the time, we will keep your details for 3 years after you last get in touch with us, with the exception of your contact details which we may keep indefinitely for statistical, archiving or historical reasons. It is important to make sure that the details we hold about you are accurate and up-to-date, so make sure you let us know if anything like your postal address, email address or phone number changes. 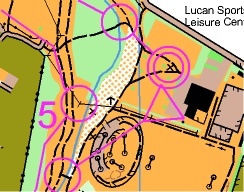 You can normally do this by contacting us at 3roc@orienteering.ie. Some of the rights may not always apply to the personal details we hold for you as there are sometimes requirements and exemptions attached which means we need to hold on to certain information, and other times the rights may not apply at all. DON’T FORGET though, if you have told us we can use your information in a certain way and you would like us to stop, you can tell us to stop at any time. If you have any questions or are unhappy about something, please contact us at 3roc@orienteering.ie. Watch out for changes to this notice online. If we make major changes, the version date at the bottom of the notice will be updated. Of course where we are required to do so by law, we will ask for your permission before we change the reason for using your details. If you have a question or complaint, you can always get in touch with us at 3roc@orienteering.ie.